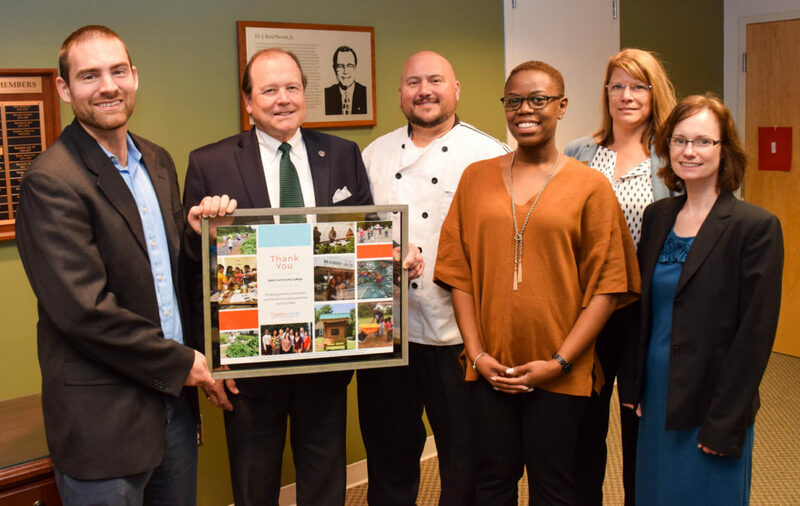 On Tuesday, November 13, 2018, the Catalyst for Healthy Eating and Active Living (Catalyst) program recognized champions and organizations in Nash and Edgecombe counties who have been making strides in improving health. At a gathering held by the Twin County Partnership for Healthier Communities, Catalyst program director Jamie Cousins shared that the Catalyst program would end later this year after three years of work to increase healthy eating and active living in both counties. Cousins thanked Nash Community College and Edgecombe Community College which have housed catalyst coordinators since 2015 and have collaborated on efforts to increase access to healthy food and safe places to be active. Cousins also praised the Twin County Partnership and other partners for their roles in engaging community to make healthy living easier. Since 2012, the Catalyst program has worked largely behind the scenes with local partners to develop lasting change in Nash and Edgecombe Counties. For example, coordinators have worked with partners to increase access to healthy foods by supporting the establishment of community gardens and farmer’s markets. Catalyst coordinators Derrick Haskins and Shoneca Kent also assisted in creating more opportunities for physical activity through the purchase of a fully stocked bike trailer available to schools and community groups that will help support bike and pedestrian safety, as well as, helping to establish a wayfinding path in downtown Tarboro highlighting local places to be active. Cousins stated that while the program is going away, many of the changes will remain in place and local partners are poised to continue creating a community that supports all people –and especially the most disadvantaged– in having what they need to live healthfully. 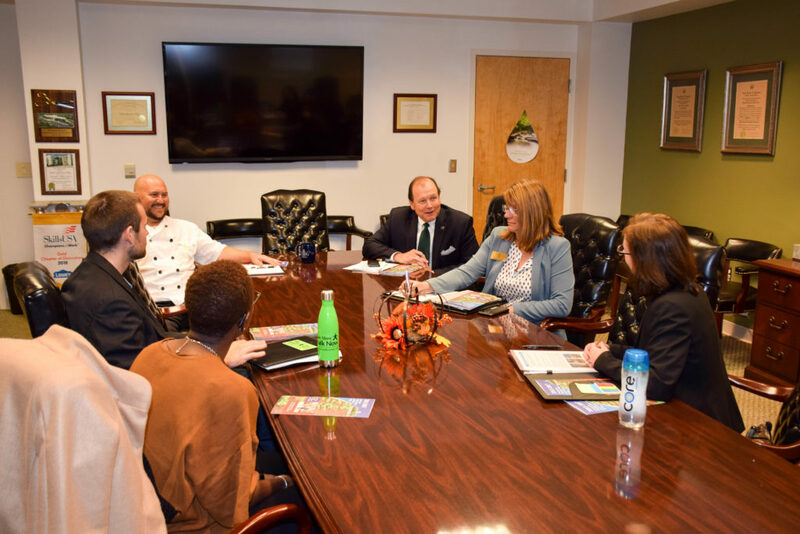 The Catalyst for Healthy Eating and Active Living is a program of the Foundation for Health Leadership & Innovation in partnership with the NC Division of Public Health, Community and Clinical Connections for Prevention and Health Branch. The Catalyst is funded by the Kate B. Reynolds Charitable Trust and is a partner in the Trust’s Healthy Places NC initiative. For more about the program, the Catalyst Five Year Summary and video are available on the Foundation for Health Leadership & Innovation website. For more information, contact Jamie Cousins at Jamie.cousins@foundationhli.org or (919) 707-5241.